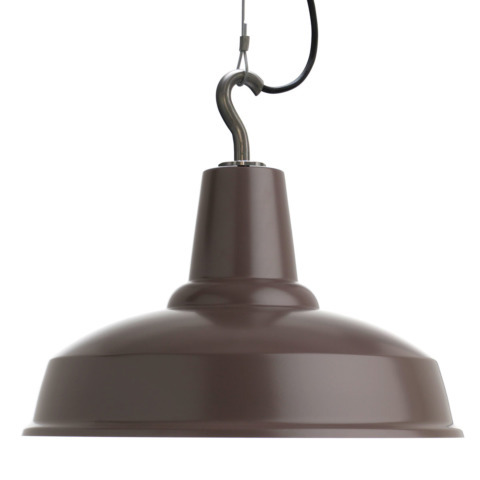 An expressive light fixture that will bring style and light to any space, this classic industrial style pendant lamp is the outdoor version of Eleanor Home’s bestselling Pandulera lamp. 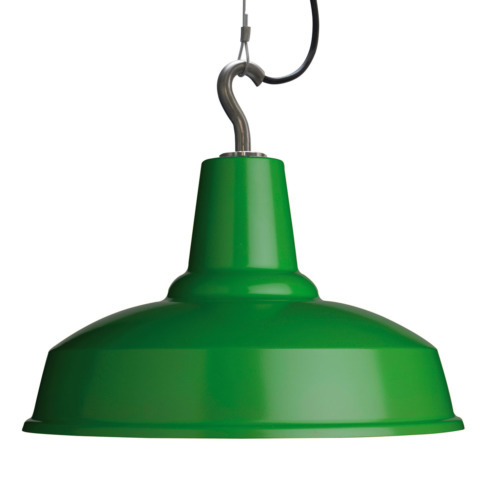 The Hook is a high-quality, weather-resistant lamp, suitable for outdoor and coastal locations as well as indoor spaces. The hook on top of the shade gives the fixture an original, laid-back look and makes it perfect for hanging on patios or terraces. 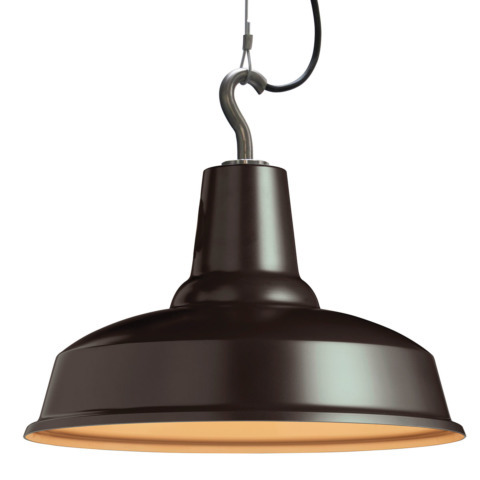 It works equally well indoors above your dining room table, a bar or a kitchen counter. For added impact, combine several in a row to create a stylish, contemporary look. 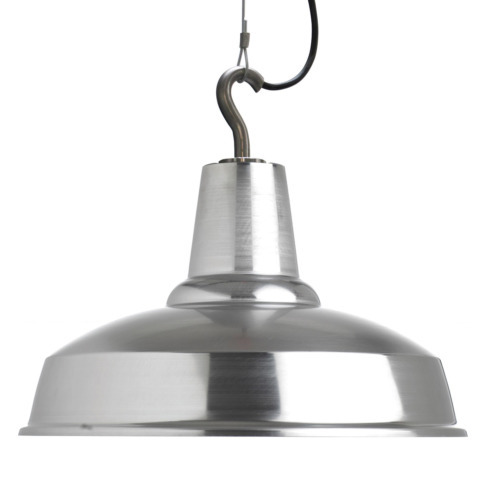 Made of aluminium, CE and IPx3 certified. 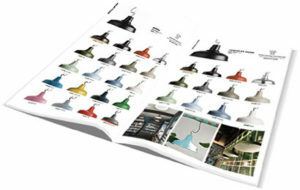 Make your choice from our extensive collection of 20 standard colours.